From a friend of mine this morning, who is actually a friend to many law officers in this particular state: "So, I'm not one to speak ill of the police, but the actions of a state trooper this morning have me quite fired up. 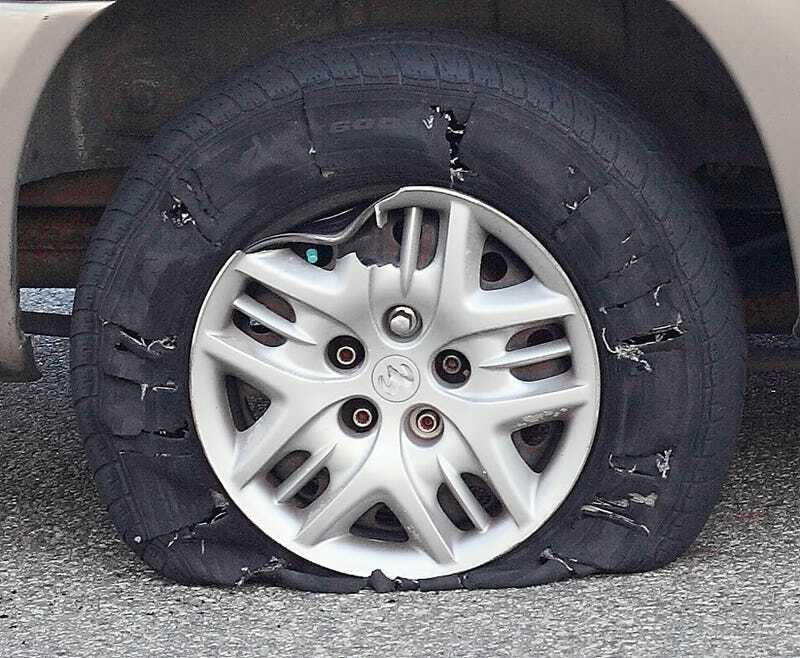 My ex wife (while taking our kids to school about an hour ago) popped the bead on the front right tire of the accord due to low air while getting on at the exit 4 rt 9 south on ramp. At the end of said ramp where it merges onto highway, she pulled over, hazards on, in the breakdown lane and called both myself and the new boyfriend to assist. Forget the fact she was IN THE BREAKDOWN LANE safely to the side, forget the fact an otherwise perfect tire is now destroyed (and quite possibly the inner rim as well), forget the fact there were two kids in the car......but there was help on the way (no more than 10 minutes out) to get the kids as well as put the spare on the car and get it moving. I have never heard of and officer forcing someone to drive a disabled vehicle when the was not threat of further traffic complications, especially when said person did not feel safe driving the car at all........"